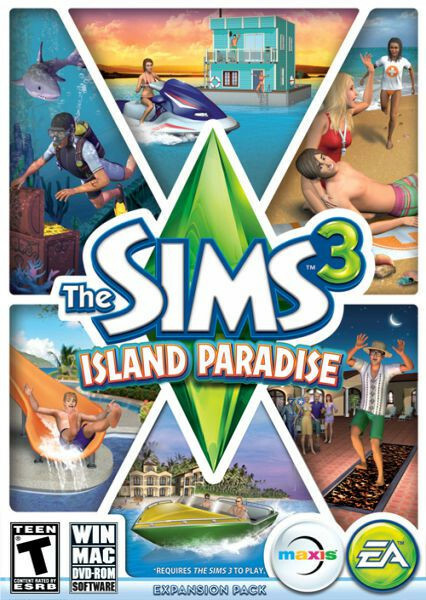 Let your Sims escape to their own island paradise, complete with sparkling waters and sun-drenched beaches in The Sims™ 3 Island Paradise. They can explore by boat, go Scuba diving, live in a houseboat or even build and run their own resorts. Nautical Sims can discover new islands, uncover sunken treasure and even befriend a mermaid! With innovative features never before seen in The Sims™ franchise and a world of new possibilities on land as well as in - and on - the sea, your Sims will have an unforgettable adventure in their own island paradise.